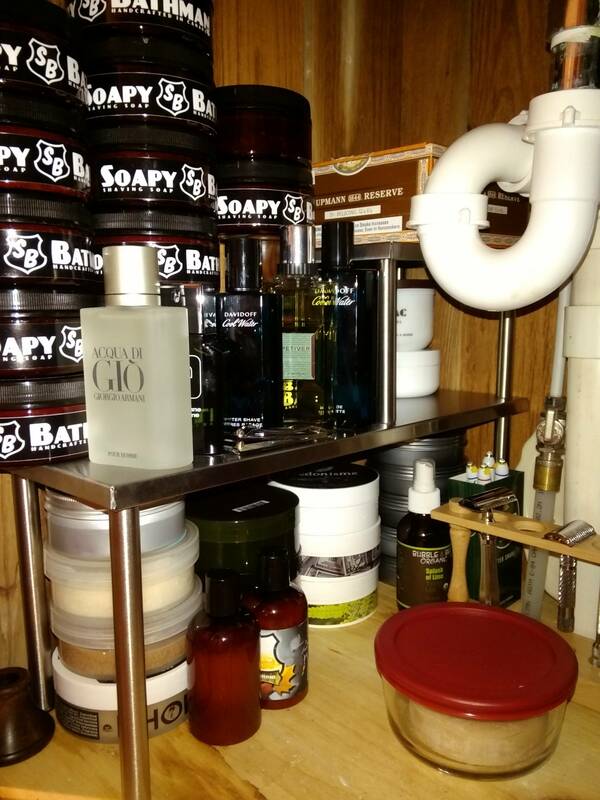 Ideas for storage: spice rack, small metal shelf and test tube rack. Very neat. Subscribing to this thread for more ideas. (03-31-2016, 12:43 AM)ssultan Wrote: Very neat. Subscribing to this thread for more ideas. Love it. I may take a pic under my sink later but it would be embarrassing. Well organized and appreciate the links too! Thanks for the links. Really like that shelf. And more wolf whisker synthetic brushes.